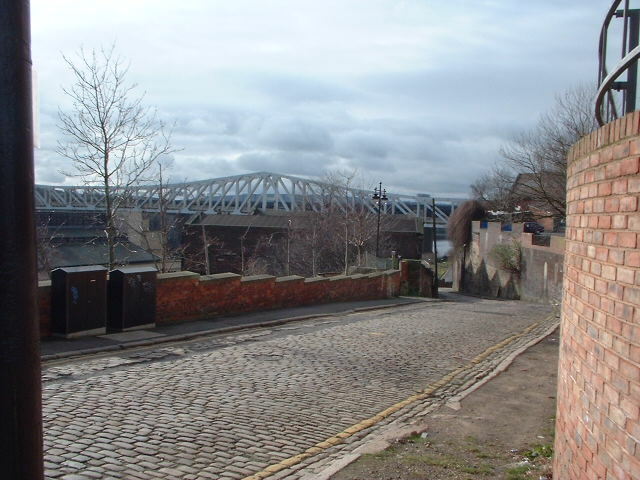 Hanover Street Newcastle Upon Tyne 2002. Bonded Warehouses built 1844 destroyed by fire, Monday Febuary 24 1997. In the 1881 census Thomas KANE was head of the house at 6 Hanover Street, Newcastle Upon Tyne, I'm not sure where the house was but I think it would have been at the top of the hill as there are some buildings shown on a 1919 Ordanance Survey map of the area. Used as a location in several Cathrine Cookson TV adaptations. 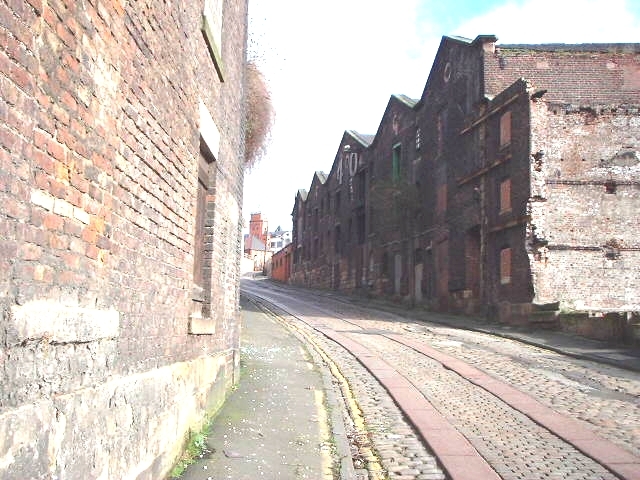 These bonded warehouses would have possible been similar to the ones where the fire started in Gateshead in 1854. Top of Hanover Street from Hanover Square.